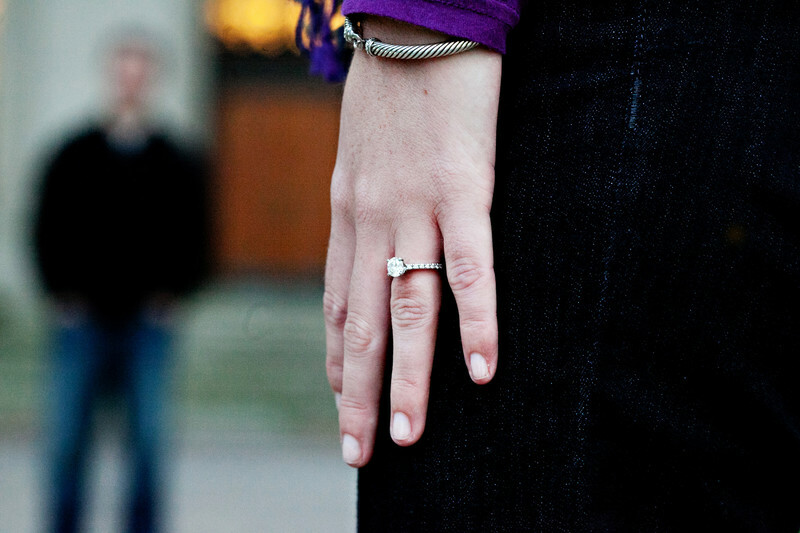 A photo of a women's engagement ring during an engagement session in Boston MA. You can see the groom to be blurred out in the background and the focus of this photo is on the ring. This is one of my favorite photos to do, because until the wedding the ring is often forgotten about. I shot this photo down at MIT where they both went to school and met. I met them through the jeweler who sold them this ring, Santisi and Bove in Boston.